First of all, I would like to welcome you all to our first e-groups newsletter. 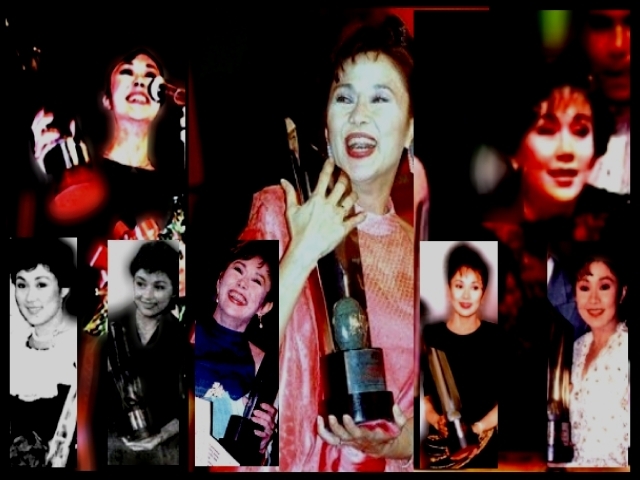 This project is dedicated to our one and only idol, Ms. Vilma Santos Recto and to all Vilmanians around the globe. 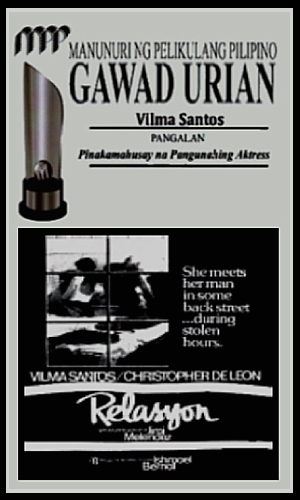 Our maiden issue is about “Awards.” it is very timely since its still award season in our country. 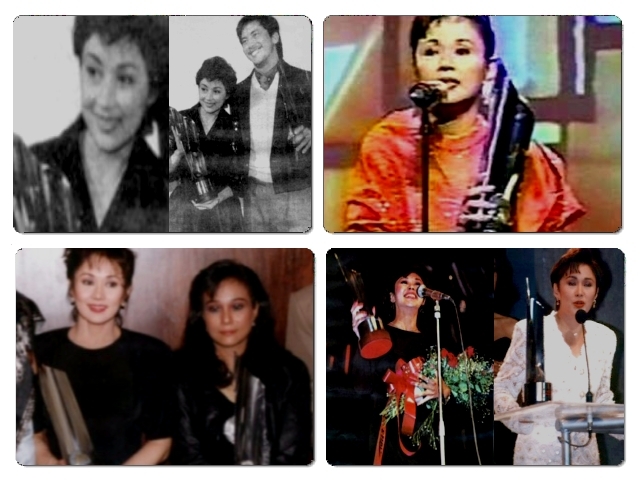 We are very hopeful that ate Vi will reaped more awards due to her impressive performance in MP3. The ultimate win – For all Vilmanians, who can forget 1983? It’s the ultimate win for our idol. 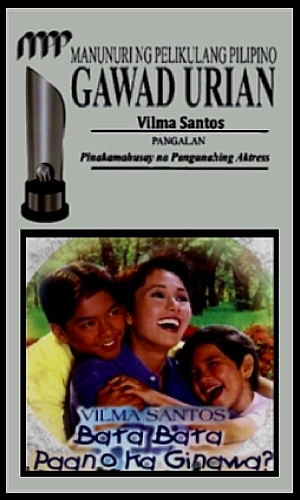 1982 ended with Nora Aunor winning the December film festival for Himala. Everyone are predicting about her winning all the awards for that year. 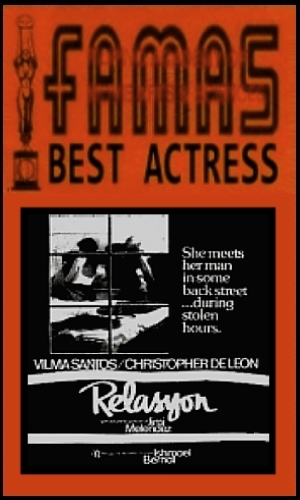 But Vilma is Nora’s true tormentor because as the award season in 1983 begins (remember they honoring the films from the previous year), all award giving bodies lined up and unanimously gave the best actress awards to Vilma! 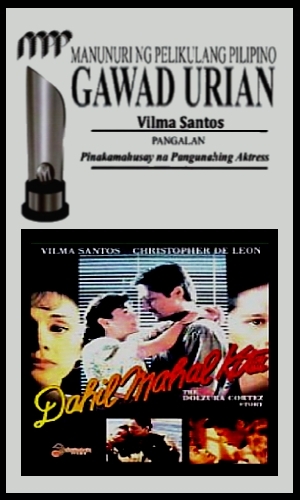 Bernal may have been a true actor’s director but without ate Vi’s maturing talent, no one can perform as effective as Malou in Relasyon! 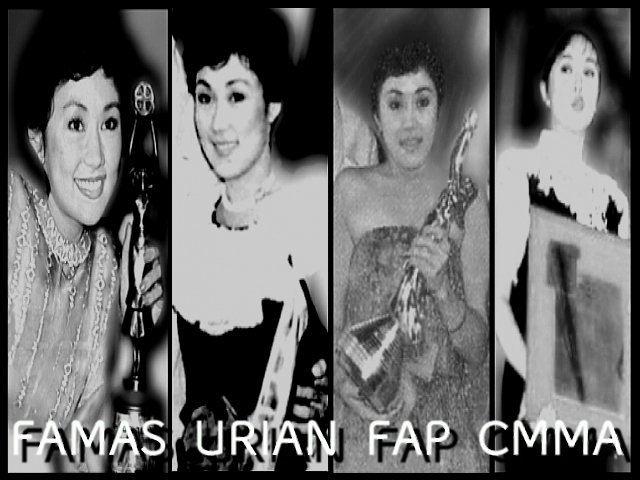 And FAMAS, CMMA, URIAN & FAP, all agreed resulting a true Grand Slam! Impressive indeed. This is a vindication of all the heartaches she suffered in the 70s. The Milestone Move – No longer a sweet teenager, Vilma’s milestone, career move was through Burlesk Queen. By 1977, Vilma’s reinvention of her image began with her feminist look at her personal life. She no longer care about the gossip and bad publicity that her relationship with Romeo Vasquez has created. 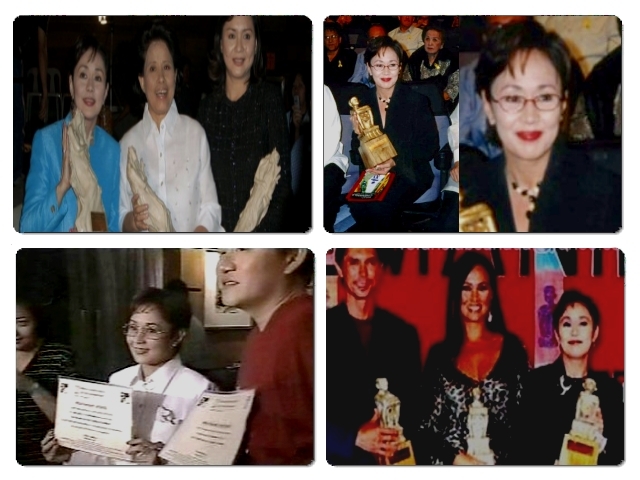 Concentrating with her movies, Vilma accepted daring roles like “Dalawang Pugad, Isang Ibon,” “Nag-aapoy Na Damdamin,” “Tagulan sa Tag-araw.” And also as producer, she created some of the best films of that decade, like “Mga Rosas Sa Putikan,” “Halik sa Paa, Halik sa Kamay,” and the ultimate, “Pagputi Ng Uwak, PagItim ng Tagak” (an almost grand slam winner for best picture). She is one of the very first independent producer in the country. But the most daring of them all was Burlesk Queen. Ian films bet all of its money to this project and it paid off because not only it is the top grosser of the film festival it also reaped almost all of the festival’s awards! 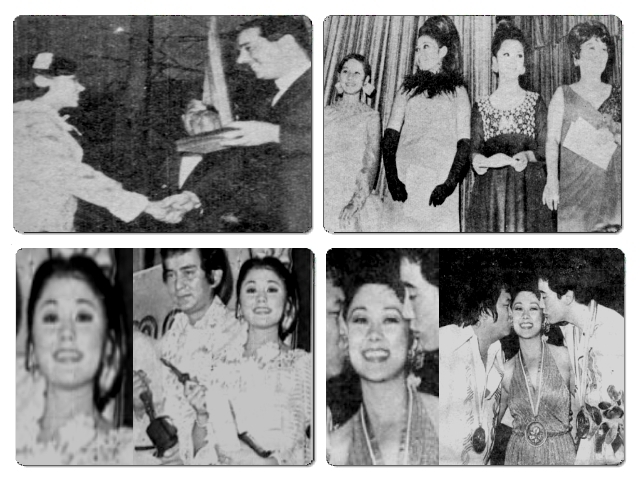 Sourgraping, the Nora Aunor camp complained but to no avail, All awards were never returned as what the news said few days after it was given. 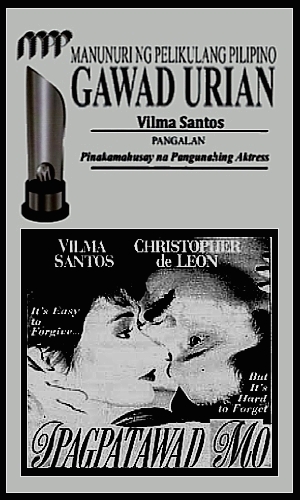 Burlesk Queen established Vilma Santos name as the number one actress in the Philippines. She was featured in Times Magazine in its coverage of the news around the globe. The hurtful Lost – Ironically, the following year Ian films went to the other camp and produced one of the most stereotypical film of all times, Atsay. 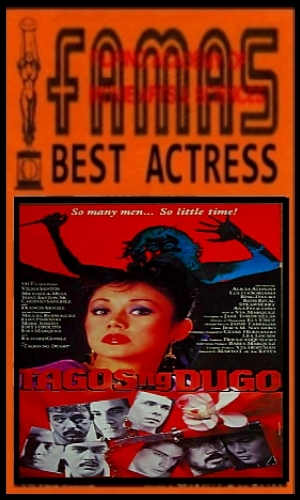 Directed by Eddie Garcia, Nora Aunor gave her most over rated performance of all time. 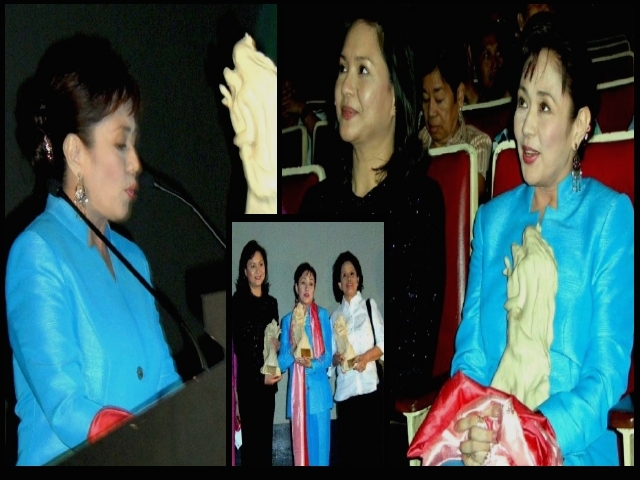 Avoiding the scandal of the previous years and aim at vindicating Nora Aunor, the festival judges gave her the Best Performer award over Vilma Santos’ impressive performance in Rubia Servios. 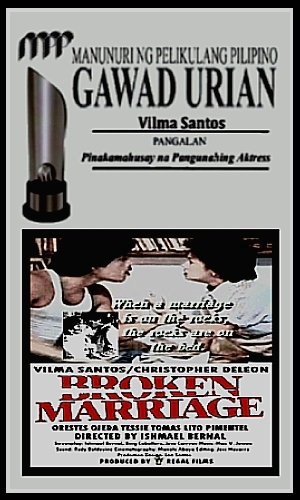 Isagani Cruz, a well respected critics during that time emphasized the hardship and delicate direction of Lino Brocka that is being the total craftsmanship of the Rubia was far more superior than Atsay. 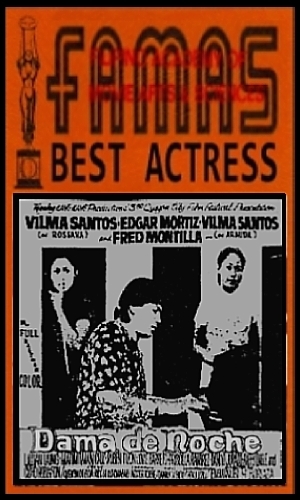 Cruz even pointed out that although Nora and Vilma both gave splendid performances, Vilma’s role was far more demanding and difficult. And everyone agreed including all Noranians. And so, as history will tell, it was the sweetest victory of Nora and Noranians over us. It was also hurtful because as the victory spread around the archipelago, the news about Ate Vi committing suicide came out. True it was a big disappointment and Marichu Vera Perez attested, she and Vilma cried all night after the awards night but the suicide rumor was just a myth. Vilma will learned from this lost and as we all remember, a lesson learned, she will never expect to win. She’ll do her job and let them decide if she is deserving of their accolades. The 80’s will proves to be more fruitful, kind and respectful of her effort to give her fans and movie aficionados every cent of their movie ticket. 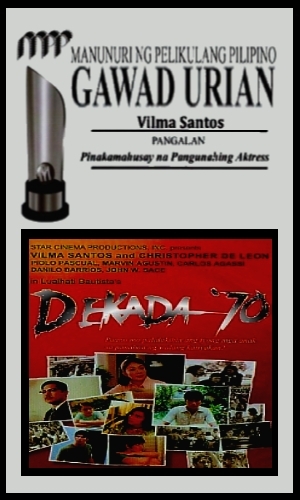 From fantasy to reality – As the 70’s box office queen, Vilma reinvent herself so many times. 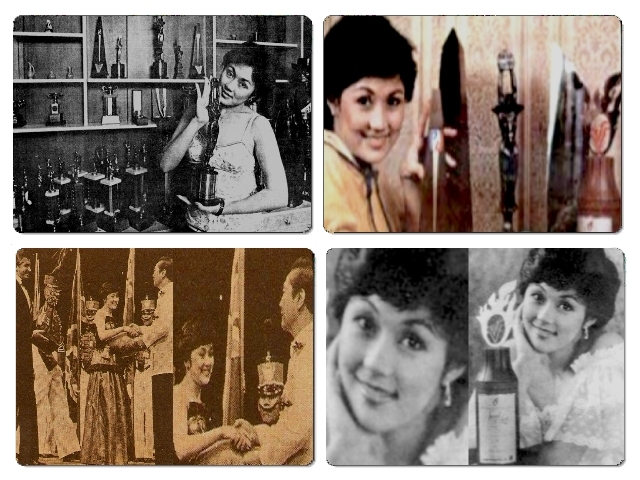 She was the disco queen, the action hero (darna, vivian volta, wonder vi), physically disabled bell ringer (kampanerang kuba), a mermaid (dyesebel) to name a few. 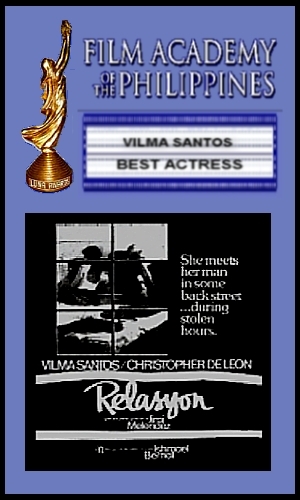 But in order to transform herself into a maturing actor and get notice for her acting talent, Vilma accepted daring roles which gave her so many awards (almost 70 to this date!) but the most revealing thing about this reinventions was the intrinsic value of all this important roles. The feminism, activism and social issues tackled and explored in these films are the most important contribution to the real world and the real human condition in our country. 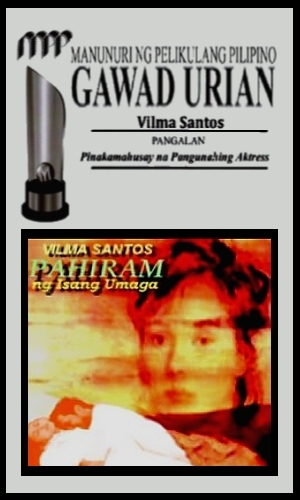 From the ill fated dancer in Burlesk Queen, to the liberal minded, suicidal designer in Ikaw Ay Akin to a desperate lover to Tag-ulan sa Tag Araw to a more rebellious wife in Broken Marriage, Vilma gave us a true to life picture of what are the most common sufferings of Filipinos. What are the real conditions that most of us cant voice out. True to its form, her films current as we still continue to experience all this social issues. Poverty and helplessness among the common Filipino problems. She also affected us with her tour de force portrayal of a modern mistress in Relasyon, an activist nun in SSL, a dying cancer stricken career woman in Pahiram, a mother of autistic child in Ipagpatawad, an AIDS patient in Dolzura, an awaken mother to an activist rebel in Dekada and just recently a modern crime crusader torn between two lovers in Mano Po 3! 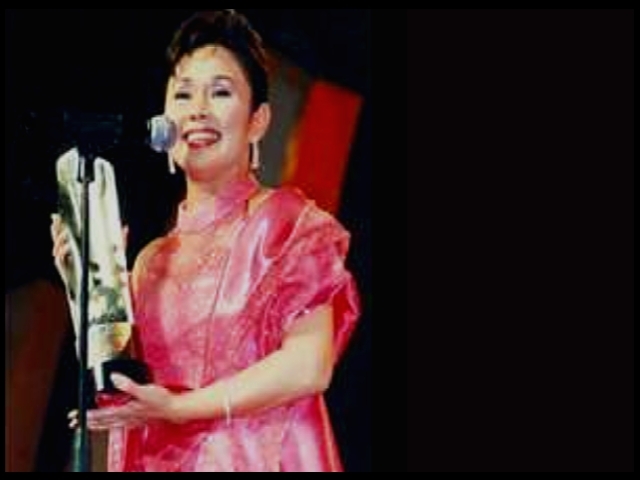 From fantasy to reality, her filmography deserve the most important awards in Philippine movie history – the National Artist honor.